Christopher Knight, 47, is shown in this Kennebec County Jail booking photo following his arrest on April 4, 2013. 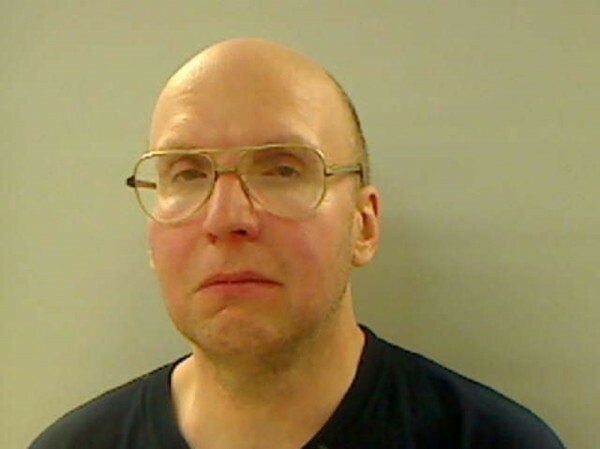 AUGUSTA, Maine — The Kennebec County Correctional Facility in Augusta has had a busy few days, with media helicopters buzzing overhead, TV vans outside, phone calls from The New York Times and one of their newest inmates — the so-called “North Pond Hermit” making headlines worldwide. But all the attention has not gone to the head of Christopher Knight, 47, who was taken into police custody on April 4 after allegedly living alone in the woods for 27 years. He’s staying in a single cell by himself at the facility and has had no visits yet from family or friends, according to Capt. Marsha Alexander. Knight is being held on bail set at $5,000, according to Kennebec County District Attorney Maeghan Maloney. He was charged with one count of class C burglary, a felony charge, and one count of class E theft by unauthorized taking, a misdemeanor charge. Both charges stem from the April 4 incident when Knight is alleged to have broken into the Pine Tree Camp in Rome. Law enforcement officials set up surveillance cameras and an alarm at a nearby home to catch Knight, who told them that he had been living in the woods near North Pond for nearly 30 years and had spoken just once to another person in that time. He said that he committed more than 1,000 burglaries of nearby camps and cabins during that time in order to take food, propane, clothes, reading material and the other things he needed to survive. Maloney on Friday said the investigation is ongoing and that the statute of limitations is three years. She said that Knight has not asked for a psychological evaluation, but has applied to have a court-appointed attorney. Maloney expects that she will first meet with him in the company of that attorney. According to a criminal background check on Knight, he has no criminal history. He has requested that he be told if family and friends want to visit, so that he can decide if he will see them. So far, just one person has tried to schedule an interview with Knight – but that person was a member of the media who initially “did not portray themselves as a media person,” Alexander said. Knight’s fame — or infamy — has not gone unnoticed by the facility’s other inmates. Each block receives a daily newspaper and a television set is on all day long in the day area, other than during mealtimes, she said. Alexander said that Knight was arraigned via video conference a few days ago and that his next court date is scheduled for May 28 at Augusta Superior Court. According to Maloney, Knight might have as many as three status conferences before the state brings the case to the Kennebec County Grand Jury, where jurors will decide if there is enough evidence to indict him on the charges. Cases can be resolved prior to going to the Grand Jury, Maloney said, adding that it is too early to know what further charges might be expected. According to Maloney, the district attorney’s office is setting up a meeting with the North Pond area neighborhood associations and officials from Pine Tree Camp, which serves children and adults with physical or developmental disabilities, and which was reportedly a repeated target for Knight. Thus far in the police investigation, Maloney has heard that most, though not all, of the items taken had a low monetary value. Some were valuable, but owners of the camps robbed of just food and beer had something more important taken from them, too.